It's storefront shuffle time in Williamsburg: Not only has light and girly gift-shop Brooklynski moved to Graham Avenue, but Digital Fix, which you could call Brooklynski's more masculine brother in design, has relocated to the Bedford Avenue Mini-Mall. The store, which sells high-tech and high-design gadgets like Nooka watches, tree-branch shaped thumb drives, and a lamp that turns off when you wave your hand over it, used to be on Grand Street, but the new space, the former home of furniture shop Residence, is bigger and more centrally-located. 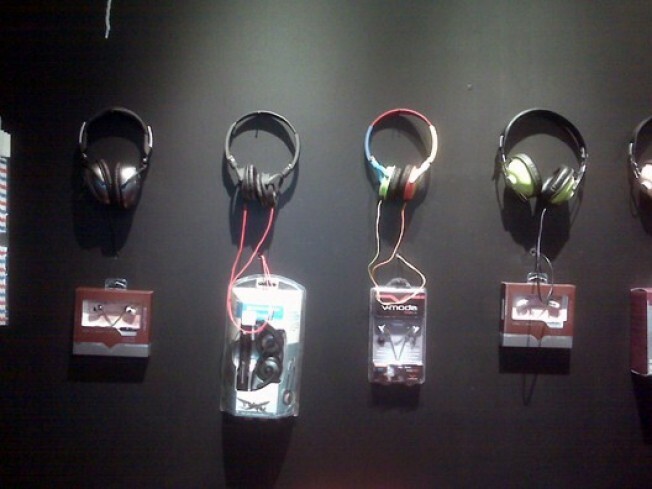 Store highlight: The wall of headphones, all different colors and all waiting for your listening pleasure.